The sediment cleanup of the Ottawa River is complete! 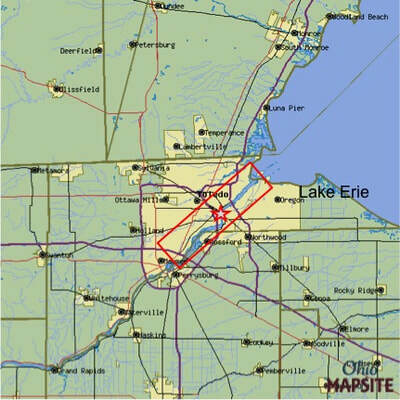 The Maumee River watershed has served the industrial and municipal needs of Toledo's citizens for almost two centuries. The Ottawa River has long been an industrial hub for car manufacturing and other industrial uses. Because waste disposal was unregulated for much of our nation's past, industrial pollutants were discharged directly into the water. 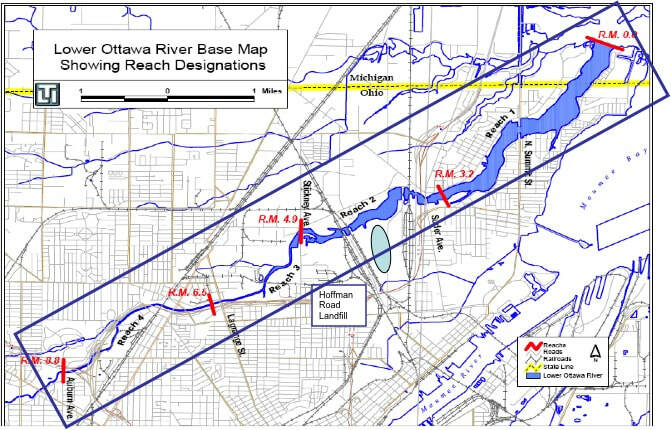 Fortunately a Great Lakes Legacy Act (GLLA) project in 2010 addressed 251,000 cubic yards of contaminated sediment, removing significant amounts of pollution from the Ottawa River. 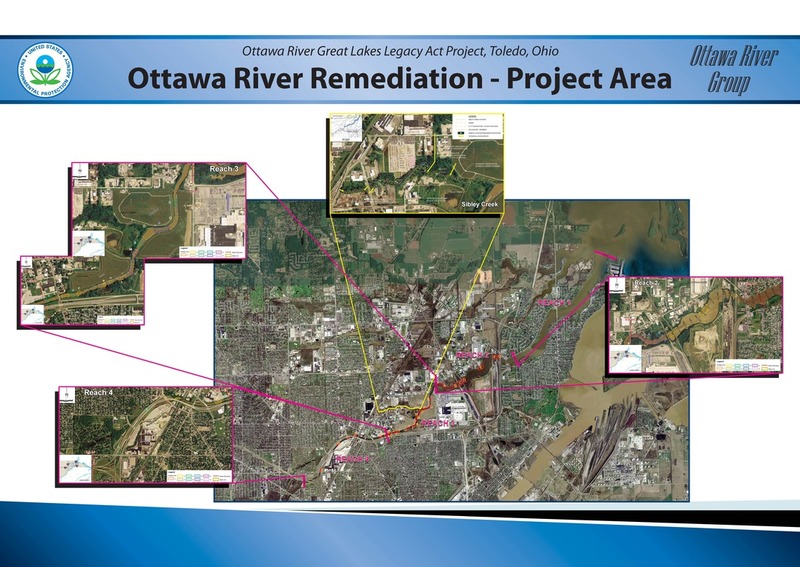 The GLLA project was funded by EPA and the Ottawa River Group, a voluntary partnership among the City of Toledo and seven industries. The cleanup is part of a larger effort to revitalize the Maumee River Area of Concern. 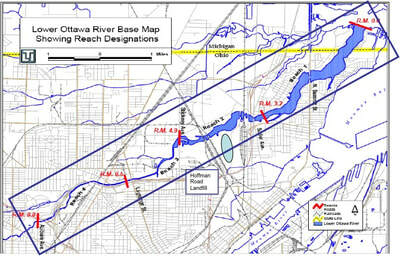 The project area extended down 5.6 miles of the Ottawa River, ending at the confluence with Maumee Bay.​ The Ottawa River is located in the Maumee River Area of Concern in Toledo, OH. The cleanup is removing contamination from the food chain, lowering exposure for those who eat fish from the Great Lakes and helping to bring back fish populations in the Ottawa River.